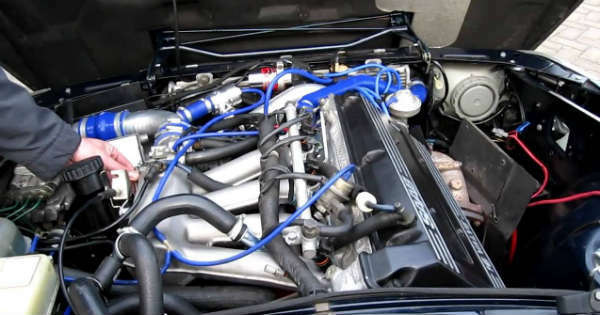 Top Torque Tips – Upgrade to a Performance Parts and unleash the Untapped Power - Muscle Cars Zone! A car engine in a way, is like a large air pump – it performs a series of deliberately-timed combustions which pull in and push out air. So if you`re looking to increase your car`s torque and power, you need to find ways to increase the volume of air moving in and out of the engine. Here are a few performance aftermarket car parts that can help add horsepower and unleash the beast under your hood. You could make an upgrade with a use of performance parts and you can unleash the untapped power. Installing a cold air intake kit is one of the easiest and most affordable ways to increase engine performance. A cold air intake is used to bring cool air into a car`s engine. Cool air is dense meaning the engine gets more oxygen for combustion. The more the oxygen, the more fuel the engine burns — the more power it can produce. Additionally, the pipes in cold air systems have a polished finish that helps to reduce air flow resistance. It also reduces unwanted turbulence which would reduce airflow into the engine. The throttle body regulates the amount of air flowing into the engine. Installing a large throttle body allows more air to flow into the engine, improving several aspects of performance. A larger throttle body packs more air into the engine allowing more fuel to be burned, which creates more power. It also improves throttles response and can even enhance your fuel economy. Meeting emissions requirements and maintaining low operating costs can limit your stock exhaust manifolds` ability to move air as efficiently as possible. This makes exhaust headers and manifolds an excellent way to increase torque and get extra horsepower. Headers boost your car`s performance by pushing exhaust gases out of the cylinders faster and effectively. 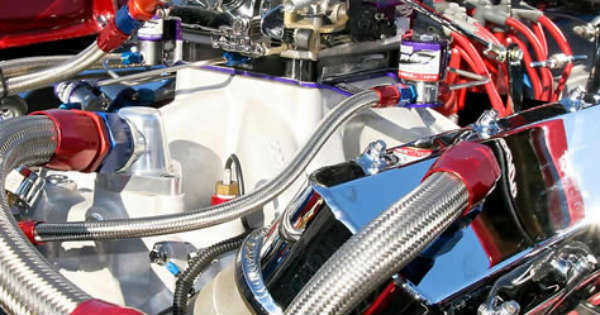 Long tube headers do a good job in creating strong mid-range to high-end torque and horsepower and are ideal for high-rev vehicles and track terrors. Shorty headers deliver more torque and HP in the lower RPM range. High-flow catalytic converters work similar to a vehicle`s catcon – reduce the toxicity of emissions from the combustion engine. However, a high-flow catcon does this faster. These converters have a higher volume and less dense internal cell count which reduces backpressure from the exhaust. This increases the engine`s flow capability helping it create more power. Forced induction systems are an effective way to add horsepower to your ride. Installing a turbocharger in a small block engine or a supercharger in a larger one can boost engine power by more than 50%. These tools work by supplying more air to the engine, enabling it to burn more fuel and yield more torque and horsepower. Installing a forced induction system involves rebuilding the engine and upgrading the stress-bearing components of the engine. The process is prohibitively expensive and takes a lot of effort, but it’s so worth it. A good set of tires provide the grip required to put the power your engine produces to the ground. Tires that offer good traction can make the difference between getting a good launch and burning your wheels at the starting line. The latest car models feature an automatic system that controls all car activities. For instance, the onboard computer system controls certain aspects of the ignition timing, air-fuel ratio, the timing, cylinder control, and the anti-lock brakes to name a few. An aftermarket performance chip and power programmer can hack into the system and override the factory settings, called “reflashing,” to allow for more horsepower, torque, and even better fuel efficiency. A camshaft controls the amount of air entering the engine. Switching to a performance cam will increase the duration and timing of the opening of valves during the engine stroke, increasing HP and making your vehicle accelerate more. It`s worth mentioning that you`ll experience a slightly rougher idle with a performance shaft. Injectors work much like camshafts, only that they control fuel. Having injectors installed in your car will significantly increase the torque and power your engine produces. You can also install a water-injection kit to increase power and mileage. This kit also helps to reduce carbon deposits in the combustion chambers, preventing engine pinging. Another way to boost your old gem`s performance is to install a performance carburettor. Since a carburettor regulates the ratio of air and fuel, upgrading to a high performance will increase the air/fuel ratio in the engine, increasing the torque and horsepower produced. Upgrading to these aftermarket car parts will significantly improve your car`s performance. Most of these parts are affordable and easy enough to install in your own garage with standard tools.